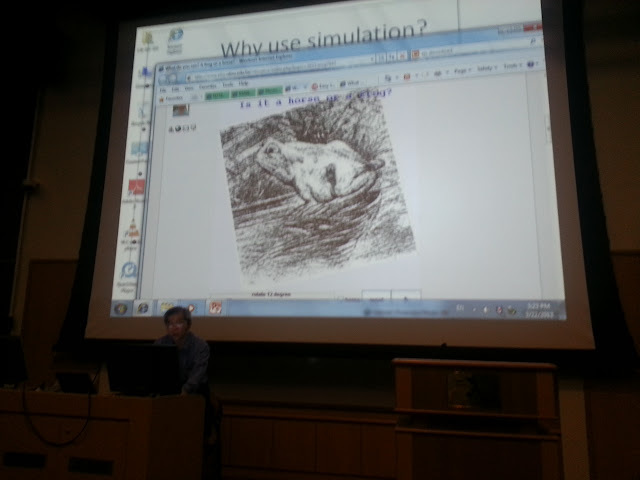 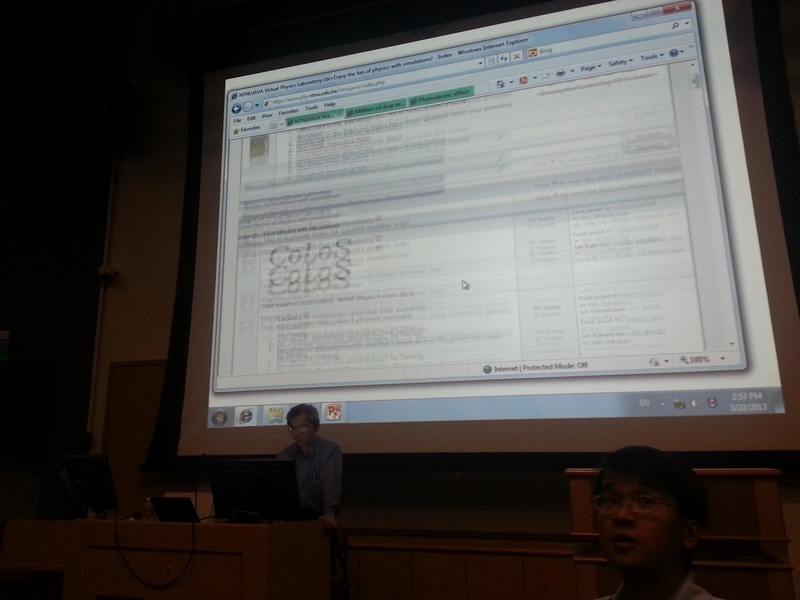 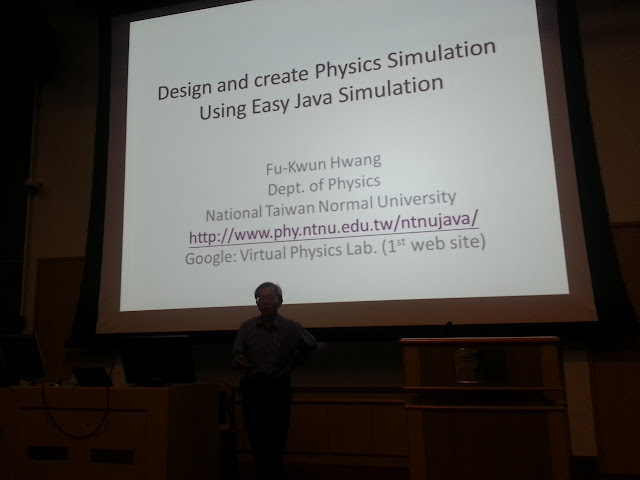 Design and create Physics Simulation Using Easy Java Simulation by Professor HWANG Fu-Kwun. 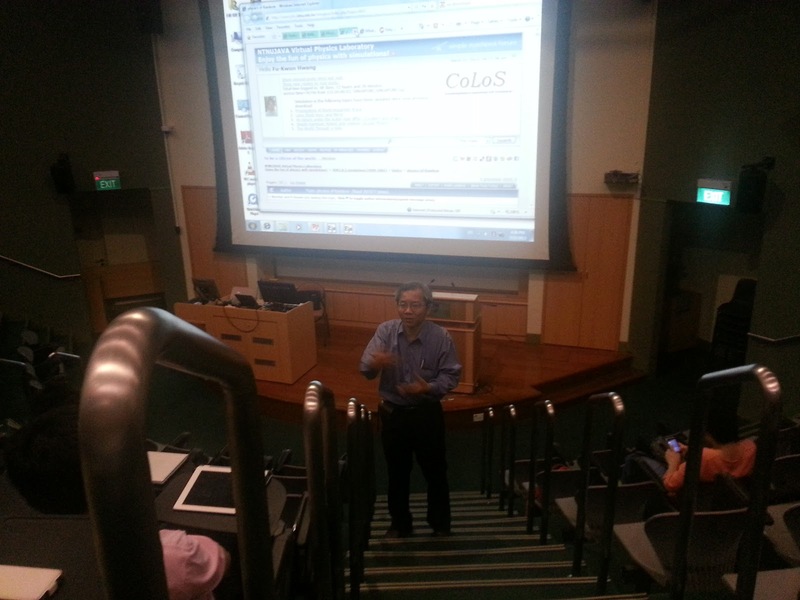 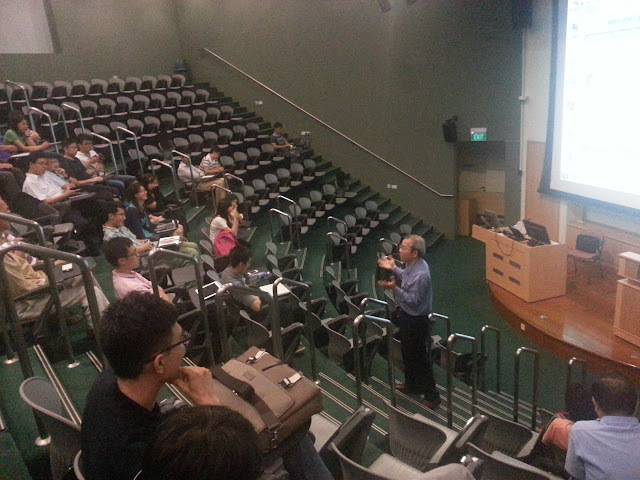 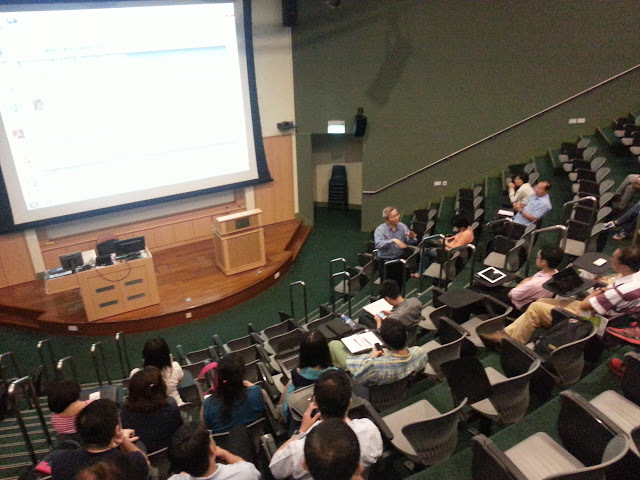 Speaker: Professor HWANG Fu-Kwun from the Department of Physics at National Taiwan Normal University, Taiwan. 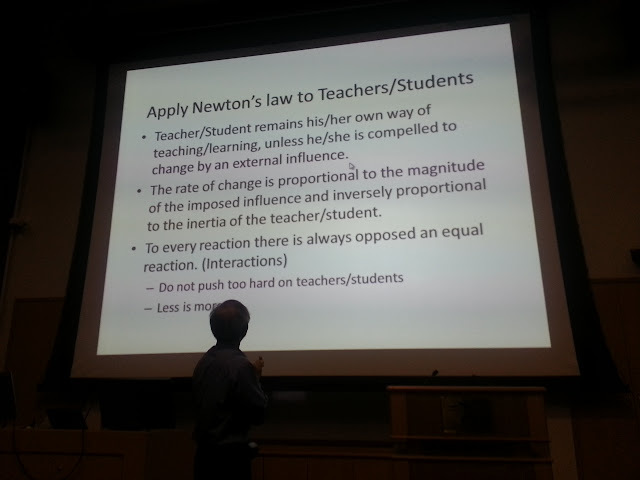 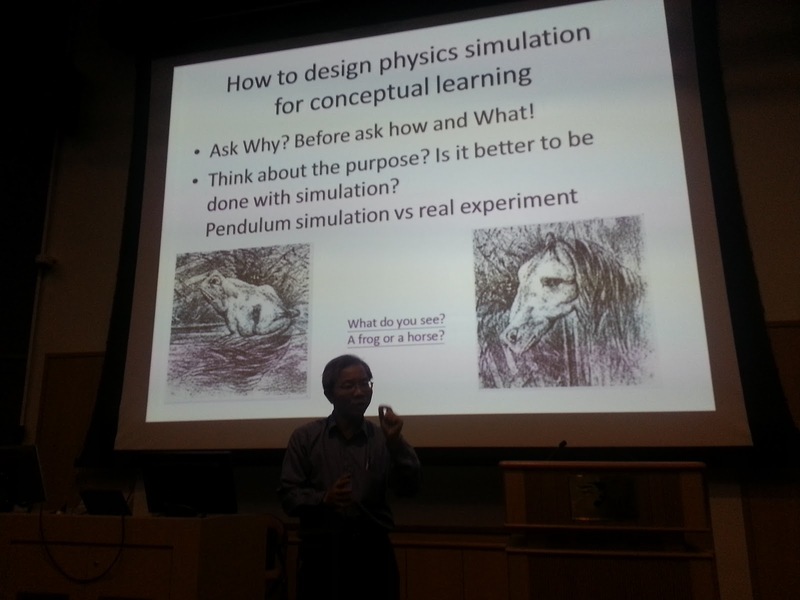 How to design physics simulation for conceptual learning will be addressed. The talk will show currently available physics simulations freely available at NTNUJAVA web site. 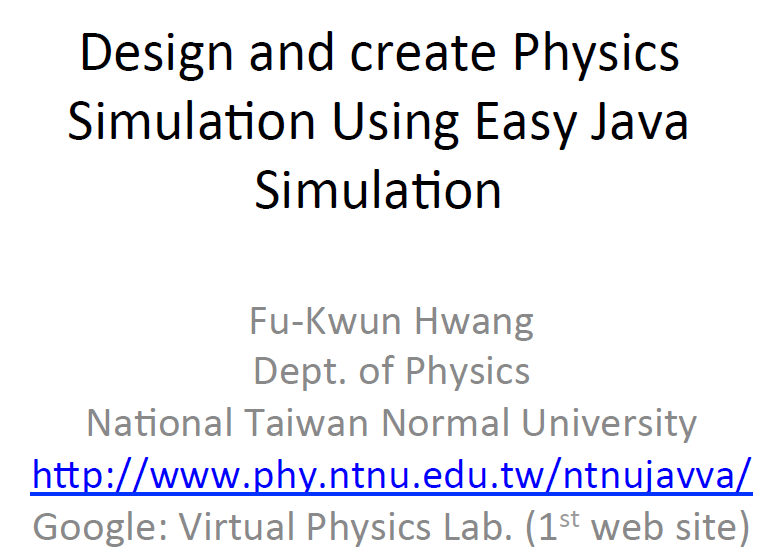 With Easy Java Simulation, a modelling tool which can be embedded in web page, users can view the physics model behind the simulation, modify existing models, or create a brand new model. The talk will also make some references to design features-ideas from computer models from an earlier morning workshop at River Valley High School and eduLab programme Java Simulations computer models by River Valley High, Yishun JC, Anderson JC, Innova JC, Serangoon JC and Educational Technology Division MOEHQ. Finger Food for 120 pax has been catered. 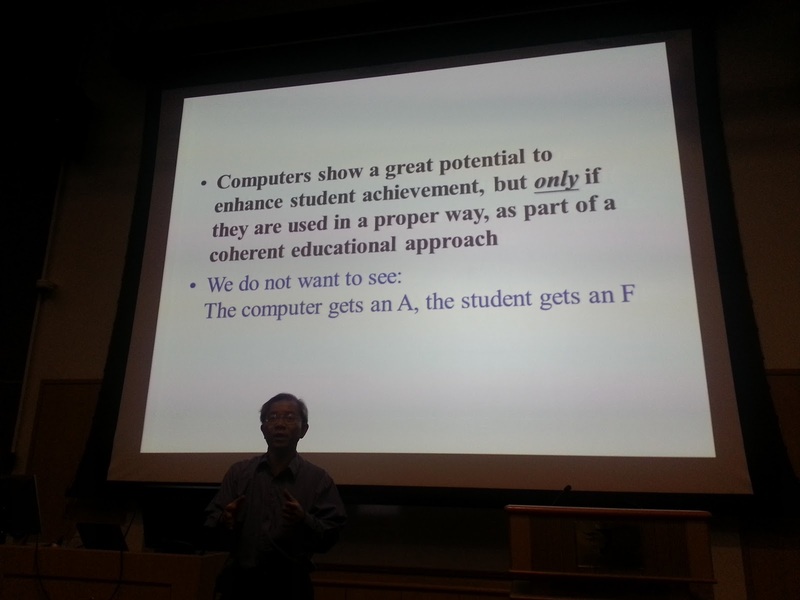 The Talk is organised by Ministry of Education, Educational Technology Division and National Institute of Education, eduLab Programme, funded by National Research Foundation. B. S. 1982. Dept. of Physics, National Taiwan Normal Univ. 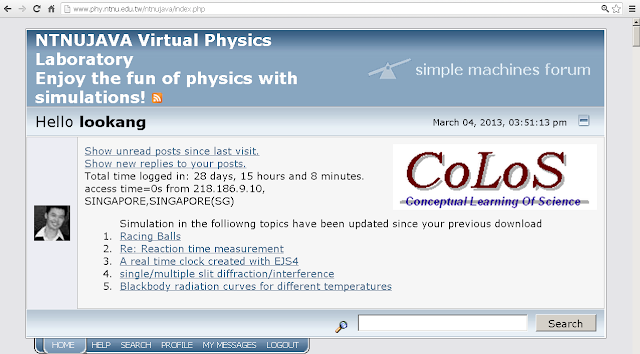 2004: Multimedia for Physics Teaching and Learning, (MPTL9, Graz,Austria) select NTNUJAVA web sitehttp://www.phy.ntnu.edu.tw/ntnujava/ as one of 10 best multimedia web site. The OpenSourcePhysics-eduLab project team cordially invites physics teachers to attend the Public Lecture titled: "Design and create Physics Simulation Using Easy Java Simulation" by Professor Fu-Kwun Hwang from the Department of Physics at National Taiwan Normal University. 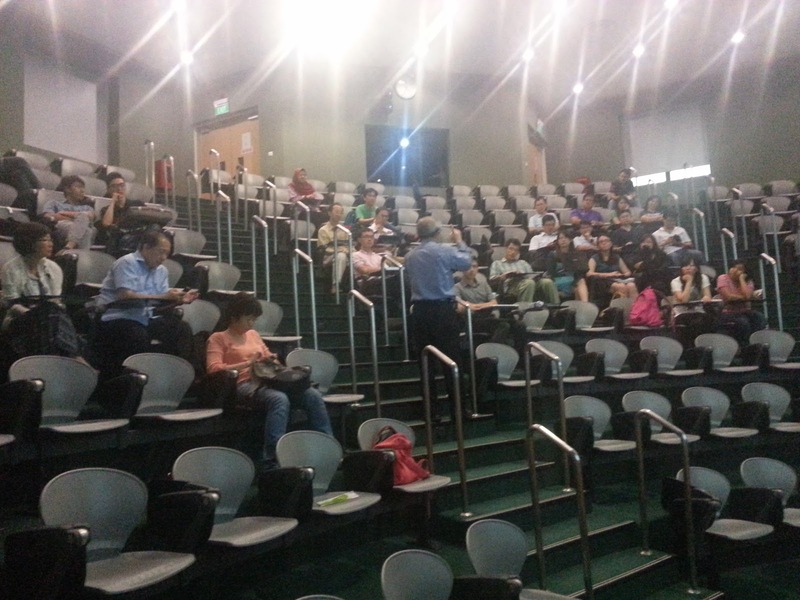 This Public Lecture is co-organized by River Valley High School, Yishun JC, Anderson JC, Innova JC, Serangoon JC and supported by the Ministry of Education and National Institute of Education, Nanyang Technological University (NIE/NTU), funded by National Research Foundation, Singapore. 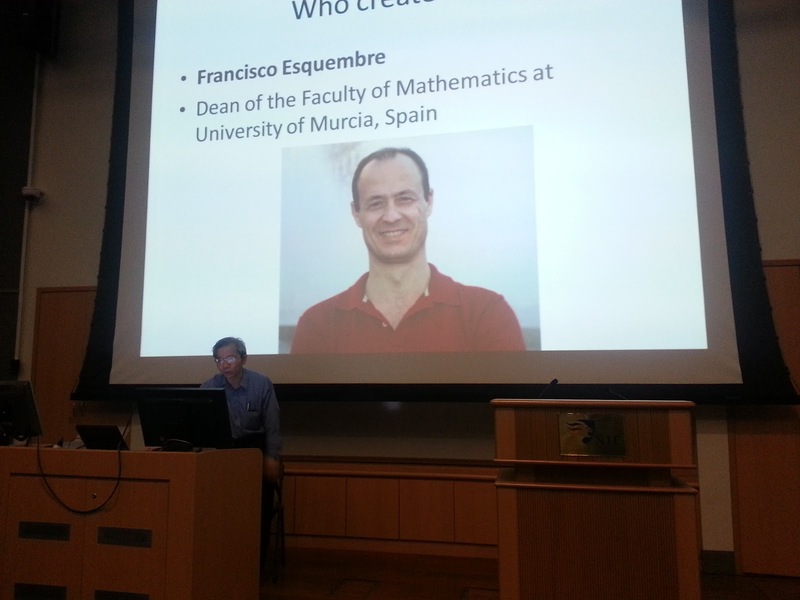 Below is the abstract for the public lecture-talk. 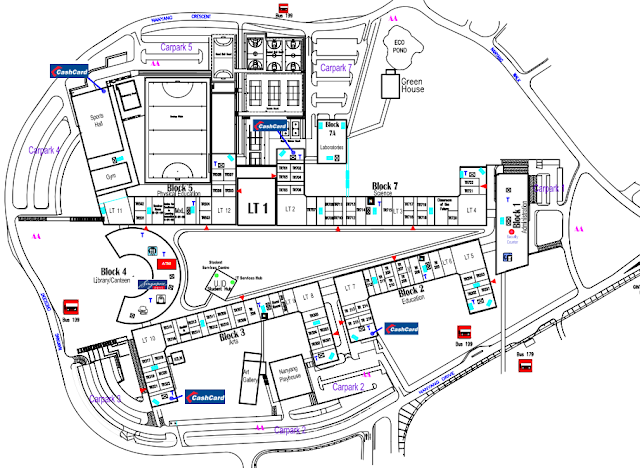 To facilitate communications, please refer to this blog for more updates. 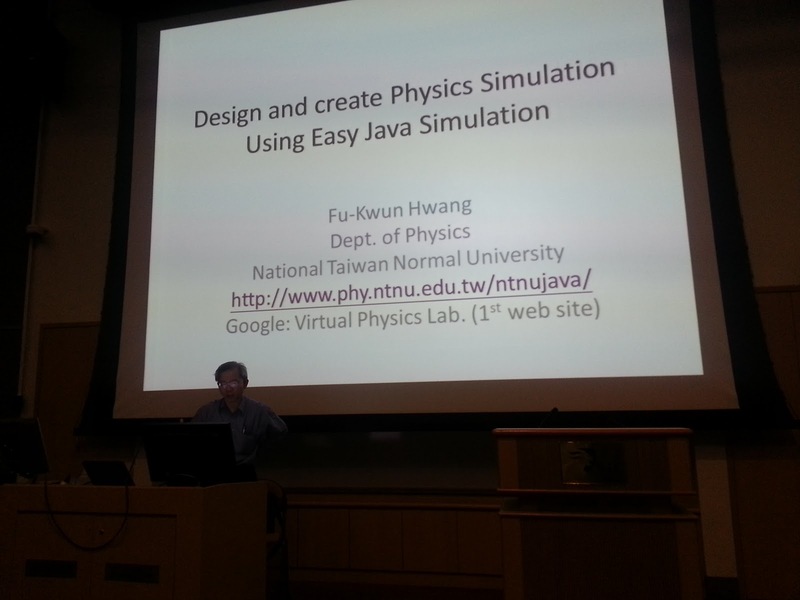 Hope to see you there to network with Professor of Physics Hwang Fu-Kwun, author of 1000+ physics simulations here NTNUJAVA web site.